How many “ships” will you encounter on your sea of life? 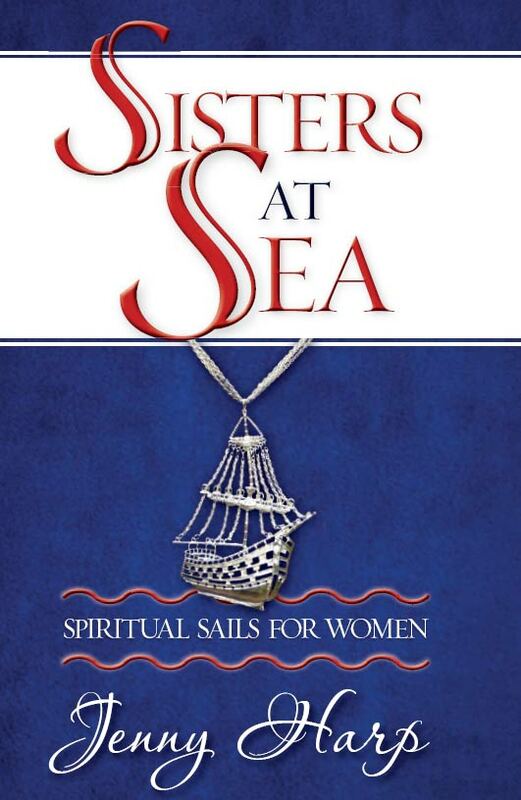 Sisters at Sea is a guide for a woman’s “ships” including Partnership, Stewardship, and Fellowship. Is your Swordsmanship rusty? Learn of salvation and Membership. Energize your Bible study with Sisters at Sea. Sinking is not an option. 13 chapters. Questions. Becky Blackmon - A spiritual voyage where God is our trusted pilot. Wilburta Arrowood - Sisters at Sea charts safe courses through dangerous waters. Scott Harp - How to build your “ship” with blueprints from the Master Shipbuilder. Celine Sparks - Pick a book worth your time investment. This is it! Teresa Hampton - Refreshing, insightful, and instructional,. Laurel Sewell - Navigate many “ships” including Kinship, Hardship, and Fellowship. Challenging in its admonitions. Kathy Pollard - Full of Scripture, warm humor. Topics: mar­riage, parenting, faith, fellowship, and even depression. "Membership" chapter is dedicated to God’s plan of salvation. Ordering more than 10 of Sisters at Sea? To order Sisters at Sea, click Add to Cart below.